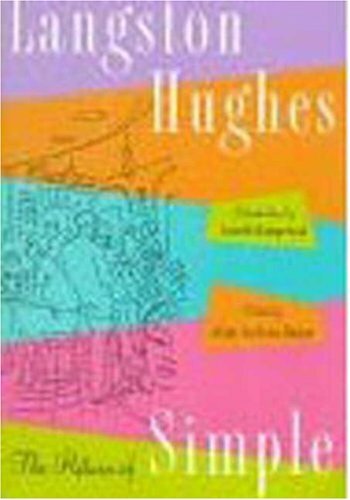 THE RETURN OF SIMPLE by HUGHES, Langston: Hilla and Wang, NY 9780809086764 First Edition. - Second Life Books, Inc.
A new collection of "Simple" stories, more than half of which have never before been gathered into book form, chronicle the life and struggles of Jesse B. Semple and are considered by many to represent Langston Hughes's best work. Langston Hughes (1902-67) was born in Joplin, Missouri, was educated at Lincoln University, and lived for most of his life in New York City. He is best known as a poet, but he also wrote novels, biography, history, plays, and children's books. Among his works are two volumes of memoirs, The Big Sea and I Wonder as I Wander, and two collections of Simple stories, The Best of Simple and The Return of Simple.